If you think vision boards are a sham, then the joke is on you, my friend. Stop rolling your eyes and hear me out. They really work, and the reason why is very simple. A vision board is a sacred place that displays what you want in life. When you hang it in a space where you see it daily, your vision board brings your goals and aspirations to life. For anyone out there who has never heard of one, a vision board is a collage of items that are meant to kick start your imagination and help you visualize your goals. So make 2019 the year of goal follow-through by creating a vision board to give you a clear picture of where you want to get to. Here are five reasons why you need to create a vision board to set yourself up for success in 2019. 1. Vision boards make you think about what it is you really want. Creating a vision board forces you to make the time to sit and REALLY think about what it is you want from life. 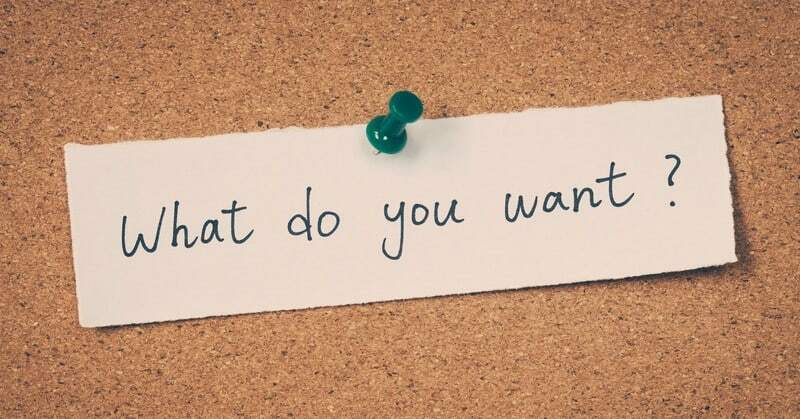 I’m sure you think about the things you want a lot, but do you really focus on them? Do you document them anywhere outside of your head? A vision board forces you to go beyond casual thinking and focus on your goals and aspirations. 2. Vision boards help you get unstuck. Our lives are so congested and overflowing. We wake up, we work, and we have our chores. We have limited flexibility in our daily environments and can become almost robotic over time. This is one of the major reasons that most people feel stuck in life. They are exhausted and overworked. They have lost touch with your creative side. A vision board is an effective way to unstick yourself. Get out of your overly programmed brain and let your creative juices flow. Get out of your funk. Throw some randomness together. Get out of your bubble. You get the picture. 3. Vision boards provide you with a daily visual reminder of your dreams and goals. The reason that vision boards work so great is because you visually see them every day. Visualization is one of the most popular and effective mind workouts that you can do. When you see something that inspires you on a daily basis, you stay on track. Even when you face setbacks, that vision board will still be there ready to motivate you all over again. 4. Vision boards will get you all fired up emotionally. Seeing your vision board will help you passionately connect with your goals. It can help you notice opportunities or simply make you imagine what something may feel like. If you get fired up and passionate about something, it will spur you into action. 5. Vision boards are fun. A vision board is a fun, risk-free, and stress-free way to unload your deepest, rawest morsels of inspiration without scrutinizing them. You don’t have to organize, analyze, or beautify your board. Just have fun and put it together. Change it up. Do what feels right to you. It doesn’t have to be organized or pretty. It just has to inspire you. You can put anything that inspires and motivates you on your board. It really can be made of practically anything. Think about your goals in your life. You can include aspirations in your relationships, career, personal growth, health, finances, or whatever you’d like to include! Your vision board should center on how you want to feel. While you can (and should) include the things that you want, the more your vision board emphasizes how you want to feel, the more it will come to life. There is only one rule when it comes to building your vision board: there are no rules. You can’t mess it up. It is your vision, and it is on your terms. Vision boards are easy to create. You won’t need much as far as materials. Here is a general list, although your vision board may incorporate things that are not listed here. Remember – there are no rules. Some sort of board – you can use a cork board, a poster board, or a pin board. Scissors, tape, pins, glue stick – whatever you need to craft your board. Markers, stickers, or other embellishments – these are completely optional. If embellishments make you feel good, then by all means, incorporate them. Magazines – this is where you can cut images and quotes from. Stuff that inspires you – photos, quotes, sayings, images, reminders all have a place on your board. Time – give yourself plenty of time to put your board together. Do not put a limit or your creative juices. Invest the time in your vision board so that it actually works for you. Turn off the TV. Put on some inspirational music. Light a candle. Feel free to modify your vision board as the year progresses. Your life changes over time, and so should your board. Remember that a vision board is a work in progress. You can change it, add to it, or otherwise modify it over time. You should change it up anytime it feels right to do so. In fact, leaving a little bit of blank space on your board allows you to accept new things that hit this year. It is your board. Own it. So, have I convinced you yet? I was skeptical at first too. I thought it might be a waste of time and much too “touchy-feely” for me. But I gave it a try. Do you know what happened? I love my vision board. Looking at it makes me feel good about myself and the year ahead. I’ve never created one before, and I wanted to start next year off a little differently than I did last year. So join me. Leave the bad habits of 2018 in 2018. Start 2019 off by doing something different than what you did in 2018. Change it up. Produce results. Make this your year. If you have never given a vision board a chance before, make a point to give it a whirl this year….especially if you think it is silly.